Being an independent graphic designer and running your own business from home is the best life ever – at least that’s what we think. Here is a guide to the hardware, software and back-up used based on the answers from my representative sample of graphic designers. So, let’s get going. Remember, this sample of graphic designers were taken from every continent of the world and included hugely successful designers as well as people who were just starting out. Hardware-wise, our designers came from both Mac and PC denominations of computer worship with the majority being Apple fans. Designers have to regularly update both their hardware and software so the answers I got depended on where the designers were in their update cycle. For example, I had been struggling along with an old 21″ white iMac with a 2.16 GHz processor, 2GB RAM and a 250GB hard disc. And I’ve recently purchased a 27″ iMac with a 3.2 GHz, 4GB RAM and a 1TB hard disc – and I’m loving the extra speed and power. 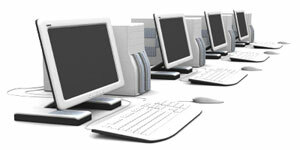 Having multiple screens or machines is quite popular. For example, Jon Phillips uses a 13inch Mac Book Pro (2.4GHz Intel Core 2 Duo with 4GB of RAM) and with an external Samsung monitor. David Airey has a 27″ iMac and a 15″ MacBook Pro. Many Mac people have PC laptops and vice versa! The designers who have PCs really know how to get the most out of them. Take Andrew Keir for example, who has a 2.6GHz Quad Core CPU with 12GB of RAM. This beast is security cabled to his desk. Another set up belongs to Carmia Cronje who has an Intel Celeron CPU 2.6GHz Dual-core with 2GB RAM and a Samsung 17″ TFT LCD monitor. Lucas Tetrault, however, built his own PC running Windows 7 Ultimate 64 bit with an Intel i7 processor, 6GB of DDR3 RAM, Nvidia GTX Video Card and a 1TB hard drive. Many designers, including myself, use the Mac Magic Mouse. However, tablets are popular, for example the Wacom Bamboo tablet. Also, Logitech mice and Microsoft Arc Mouse were mentioned. Many designers listed smart phones, iPhones and iPads as part of their hardware arsenal as they dip their toes into app development. Xcode is being used to develop Mac apps. No surprise which was the common suite of programs that designers used! Adobe’s Creative Suite was being used by all of our designers in some incarnation, the most popular being the Design Premium CS5. But Quark, CorelDRAW X5 and Sketchbook Pro 2 were also mentioned. Photoshop was the most popular graphics/image editor although some web designers much preferred Fireworks. One of our designers used Pixelmator a Mac image editor that’s much cheaper than Photoshop. Another alternative is GraphicConverter. Downsize is a utility that can batch resize images in bulk. Some of us splash out on the MS Office so as to read and create Word, Excel and Powerpoint documents. Whereas some of us make do with the open source OpenOffice. Free text editors used were Notepad for PCs and TextEdit on the Mac. However, some designers preferred the following premium text editors: Textmate and Coda. For font management Suitcase Fusion was the most popular. And FTP-wise, the favorite open source solution was Filezilla, with many preferring to pay for either Fetch or Transmit. Many of our Mac users utilised Time Machine with some sort of external disc drive (usually 500GB or 1TB). For those of you that aren’t familiar with this utility it automatically saves up-to-date copies of everything on your Mac. Plus, if you ever delete or save over a file you can’t retrive, you can easily “go back in time” to recover it using one of the most exciting interfaces I’ve ever seen! One of our designers had a Time Capsule which is an automatic wireless backup for your files. Available in 1TB and 2TB models. Dropbox Dropbox allows you to sync your files online and across your computers automatically. Ideal for cloud living! Mozy Founded in 2005, Mozy is “the world,s most trusted online backup service with more than 1 million customers backing up 70 petabytes of information to multiple data centres around the globe” according to their website. Backblaze Only $5 a month per computer for unlimited storage. So that’s it … well not quite, there is one more entry in the questionnaire that I haven’t published. I left a “final thoughts” section at the end where I got some great entries. I’ll put them in a blog post together with a few more I can lay my hands on. Are you a graphic designer who runs their own business or thinking of becoming a self-employed work-from-home type? What did you think of this survey? As always, I,d love to hear your thoughts. More info about independent graphic designers’ set-up and how they make their money in my e-book. Well, this latest entry just feeds the technology junkie in me. My equipment isn’t so old, but I do want a 27″ iMac . Maybe I can get my wife, a photographer and artist to take the “old” 24″. I’m currently, well seriously thinking about investing in a 27″ iMac and pairing it with my 19″ Samsung monitor that I currently use with my 15″ MacBook Pro. One thing I will never do though is to back up my files to ANY online service. I keep all my work on an external drive that I swop out once a week (or more is needed) with another drive that I keep offsite. Might be a pain, but I know where my work is at all times. Joe, when I replaced my dead G5 Mac tower with the 24-inch Intel iMac, I was concerned about going to an all-in-one. But the iMac’s proven more computer than anything I ever had before. And with the second monitor, wow! So I can only imagine how great your iMac will prove. As for backing up to an external drive, I can’t recommend it highly enough. I do it just about daily. And I’d never trust it to “the cloud,” as we still don’t know How secure that’s goingto prove long-term. Hey, Stephen, that’s exactly I what I did – gave my old 21″ to the wife! I’m really pleased with the new 27″ – wish I bought it a few months ago. Hello Joe, I don’t have an online back-up either but you have a great system there by keeping a regularly back-up drive offsite. As I say, my new 27â€³ iMac 3.2 GHz Core i3 is really good – it’s not so much the extra screen size as the faster processing power that is so impressive. But I think I was saying that about my old iMac 3 years ago. BTW I got a refurb from the Mac Store which saved me a couple of hundred bucks. Let us know how you get on. Good to see my paranoia about cabling my PC to my desk earned a special mention. Ha. It’s a good paranoia to have, Andrew, I’d do the same myself but I don’t have anything to cable it to! I just got a hole-saw and drilled a small hole through the back of the desk. Out of site, out of mind. Good idea. There’s no way a thief’s going to run off with the desk on his back. Hi Rob, nice to see a breakdown of what people use. Like yourself, I too recently upgraded to a 27″ iMac (I think I persuaded you to get one :)) – my older 21″ core duo broke but has now been brought back to life with a new HD. So now I just need a 3rd Mac and I’ll be able to match you. Think I need a PC also to test web sites on… Oh bye the way, I recommend the Samsung 1TB external backup’s, they are super fast. Yes, Mark, I was stuck between getting the bigger or smaller screen with the i3 processor and in the end the 27″ was the one available at the refurb price – and you’d just got one – so I went for that! Do tell me if or when you max out the RAM and where you find the cheapest RAM (apparently the Mac RAM is overpriced). Sorry to hear about your old Wacom pen, Andrew, a transition like that always takes a few days! This place was recommended to me by an IT professional – so I guess they know best! Thanks for this, Mark, I’ll max it out when I’m next feeling rich! Maxed out now. I’m flying! Wish I did it back then!!! I find Dropbox to be invaluable as all my documents are available on whatever platform i am using and they are always in sync. I used to struggle with USB drives when moving between the home and office, but no longer everything is just where i need it. Lots of people have great things to say about Dropbox, Fraser, thanks! It fine to go for iMac but for absolutely colour work retouching or colour corrections it is recommended best to go for a MacPro with a monitor for colour print work with colour management system. There nothing to say that iMac are not good but with a colour management system it should help. Thank you, Simon, I forgot to mention about monitors specifically for color print work as I haven’t done much of that for such a long time. I’ve been running a freelance design business for the last 16 years. Have upgraded hardware and software during that time but currently I’m still on a Mac G5 tower running OS X 10.4. The reason? I’ve been using Macromedia Freehand from Version 2. IMHO Freehand is a superior, more intuitive product than its rival, Adobe Illustrator. While I have used Illustrator when pushed, Freehand suits my work style better and saves files smarter/smaller. And the ‘xtras’ that I regularly use are not included in Illustrator. If, after buying Macromedia, Adobe had included some of these ‘superior’ features in later builds of Illustrator I would have thought they were listening to their users. But they didn’t. Instead they have simply told Freehand users to ‘get over it’ and come across to the wonderful world of AI. They simply stopped supporting Freehand (though they do still sell it), allowing it to languish to the point where it wouldn’t run a reliably on later versions of Mac OS. And I believe it won’t run at all on Intel-equipped Macs running Lion. I recently discovered the Free FreeHand organisation. Free Freehand came into existence to persuade Adobe to continue development of Freehand, or to sell the code to an organisation that will continue to develop what it calls ‘quite possibly the best vector drawing application ever made’. To this end they have filed an Antitrust case against Adobe. Hey Mike, I used FreeHand years ago and I remember the file sizes were inexplicably small. In the end, I preferred using Illustrator as I was more used to the interface through my experience with Photoshop. However, I think this is all very hard on designers who really specialised in it and I support wholeheartedly the Free FreeHand organisation. It is quite perplexing why they did this. At the same time they bought Dreamweaver and Fireworks and they bundled them into CS even though Fireworks did the same job as Photoshop, so why not FreeHand? Meanwhile having a set up like the one you describe is a definite disadvantage at present and will become worse. You have my sympathy. Hi Rob. Well, I bit the bullet and upgraded to an Intel-based MacPro tower late last year. OS X 10.8.2 (Mountain Lion) has some great features. But, as I feared, I have had to move completely onto Adobe Creative Suite (including Illustrator, or as I prefer to call it Ill-frustrator). Sorry to use your blog as a soapbox to blag Illustrator, Rob. On the positive side, apart from the lack of FreeHand the MacPro is great and backups with Time Machine are efficient and even entertaining! And hey, I still have the G5 across the office, running Leopard and, of course, my beloved FreeHand! Well, I’m really glad you went for the upgrade, Mike. The advantages of having an up-to-date set up will out-weigh your frustrations with Illustrator. I would persevere. I’m sure if you read this back in a few months you’ll be surprised what you said. It’s only natural you’re finding it difficult at the moment after so long with FreeHand. You made the right move! Interesting survey Simon – a nice clear indication of what tools other designers use and how they work…I find it far too easy to get set in my ways without realising that there may be more suitable methods and technologies out there. It’d be interesting to see the results if you were to survey again now, seeing that technologies are moving at such a fast pace. Actually, I contacted all these designers again to ask them about specializing within graphic design so, if I haven’t annoyed them too much, I’ll probably ask them these questions again at some point. But it’s certainly a good way to see how people are working. It’s Rob, not Simon, by the way! was the most popular graphics/image editor although some web designers much preferred Fireworks. 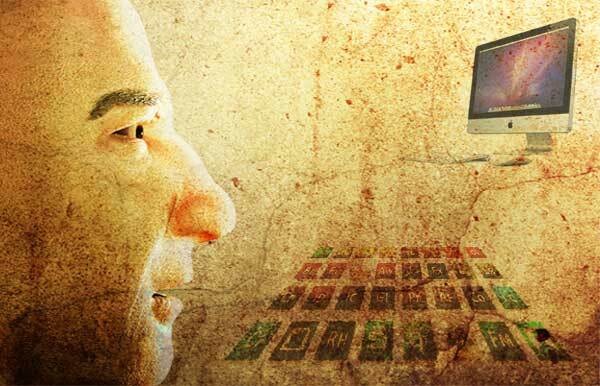 One of our designers used Pixelmator a Mac image editor thatâ€™s much cheaper than Photoshop. Another alternative is GraphicConverter. Downsize is a utility that can batch resize images in bulk. Hello Sabbir, the line you call into question is referring to the graphics or photo manipulation software that designers use. This is for editing the pixels in the images and graphics. I hope this helps. I’ve been a (full time) employed graphic designer for 6 years, using company hardware & software.. I am now getting the opportunity to become my own contractor and that means obtaining all the right tools at home. This was just the type of article I was searching for. Very insightful and helpful! Thanks so much for sharing!!!! Best of luck with your future career, Amanda, I think you’ll be much more satisfied and challenged by becoming your own boss – even part-time. I’m glad this article helped you. There’s a lot more stuff here about running your own design business. Hope you pop back soon.